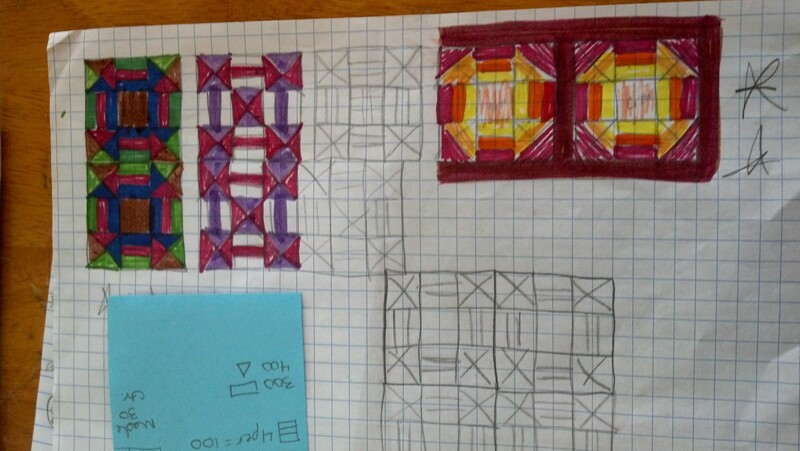 April’s block plan was to go with a yellow center, orange mid and red on the outside, like an ombre, or a fade to dark. 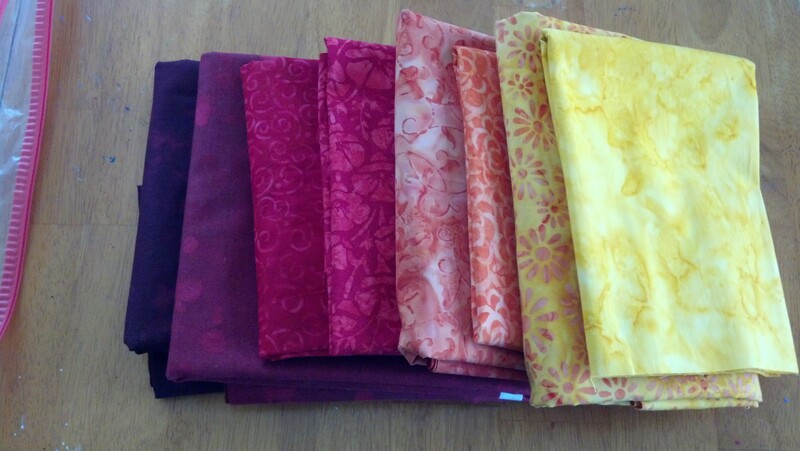 Trouble was, I couldn’t find any suitable reds in my stash, batik or standard cotton. So that plan had to go on the backburner. 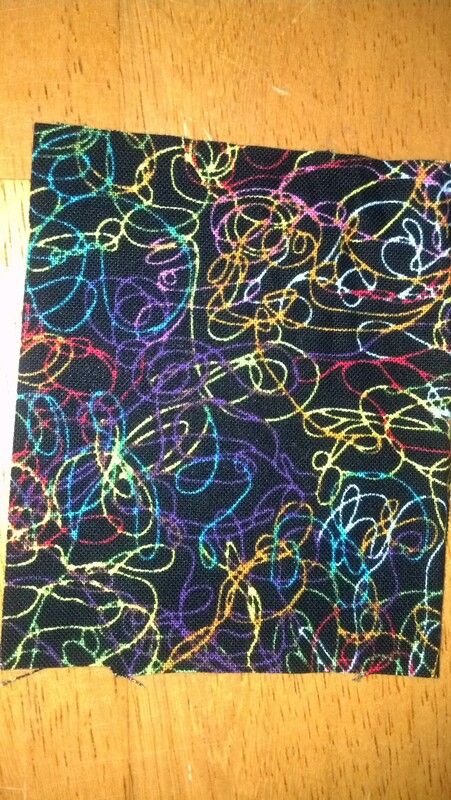 So I found about 7-8 6″ strips of this stringy fabric just waiting for it’s turn. I was inspired. I decided to choose really bright fabrics that matched those strings. 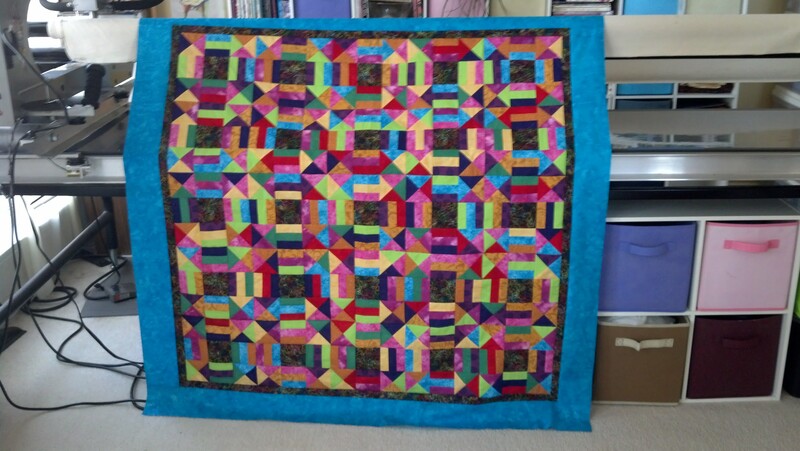 I had seen a quilt that someone brought to a retreat just over a year ago, and while I can’t remember the name or exact pattern, I thought she called it jewel box. 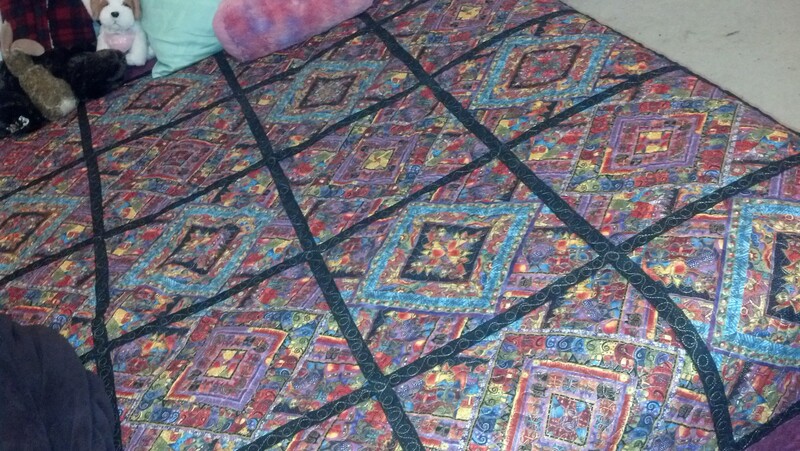 It was black with brightly colored triangles and other shapes in batik. 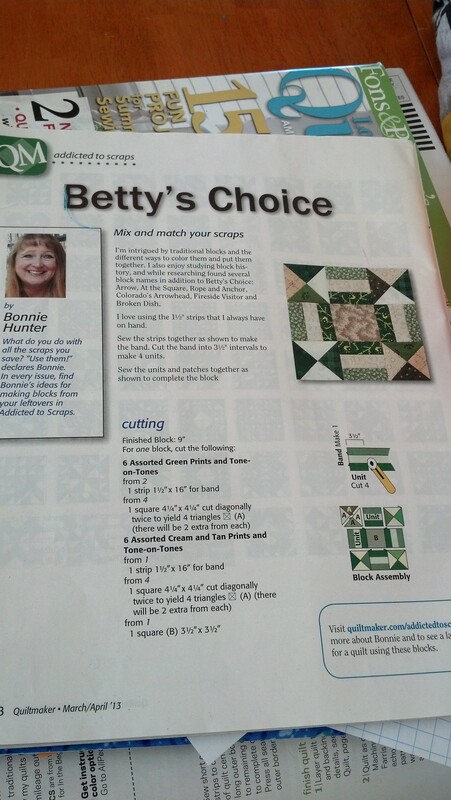 This month’s quilt plan reminded me of that quilt. So I decided to keep it random, rather than specifically placing anything. What I find interesting is that the actual blocks don’t seem to emerge here at all. 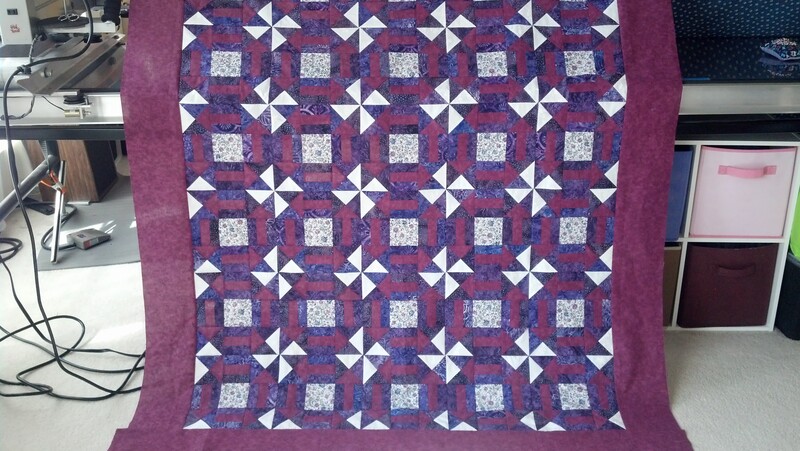 When I finished the top, I decided on a thin border of the black string fabric, thinking it would pull out the black centers. I think the darker purple strips make some of the blocks appear rectangular from a distance. and when I placed different colors along the sides and squinted (THE surefire way to tell if something works or not), the turquoise was the definitive winner. 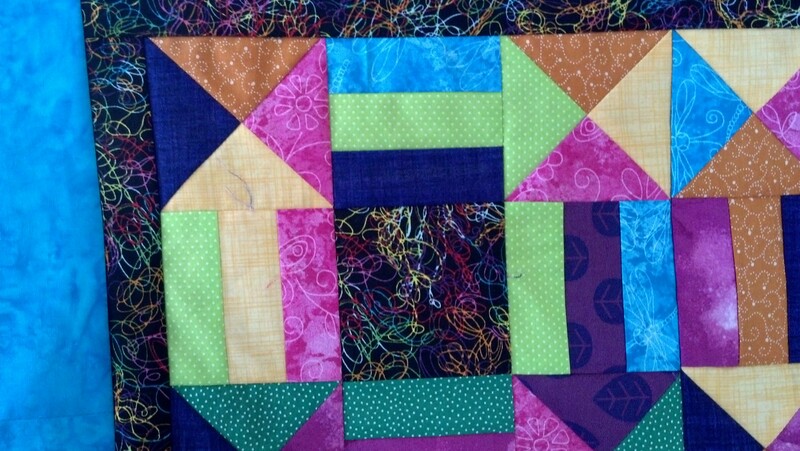 Unfortunately I had very little left (this was another quilt made from scraps, and that is the inherent danger of this method). So I found a batik I thought matched closely enough and voila! 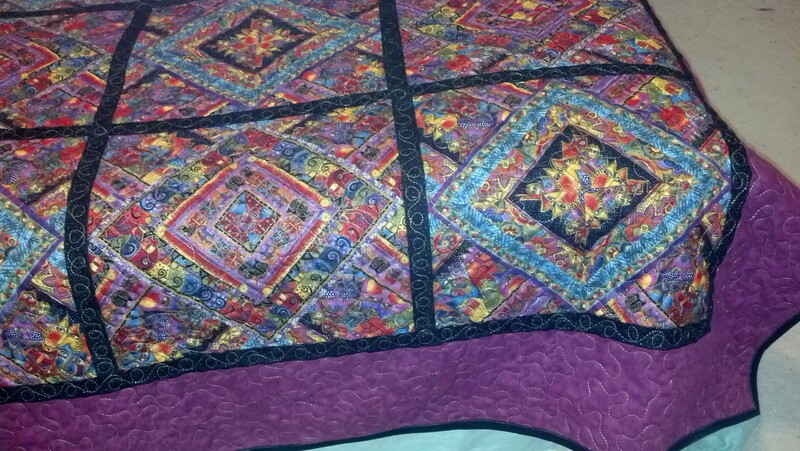 I think setting it in black made the quilt look a lot different too; it made those bright colors really stand out. In each instance I chose something to focus on. January I used scraps. February I wanted the arrows to show. March I focused on the pinwheels, which meant removing the sashing. And April was a wider variety of colors, just thrown together around the focus fabric, with that same fabric as the inner border. May will bring a glowing block. Not dishing on what’s coming after that! 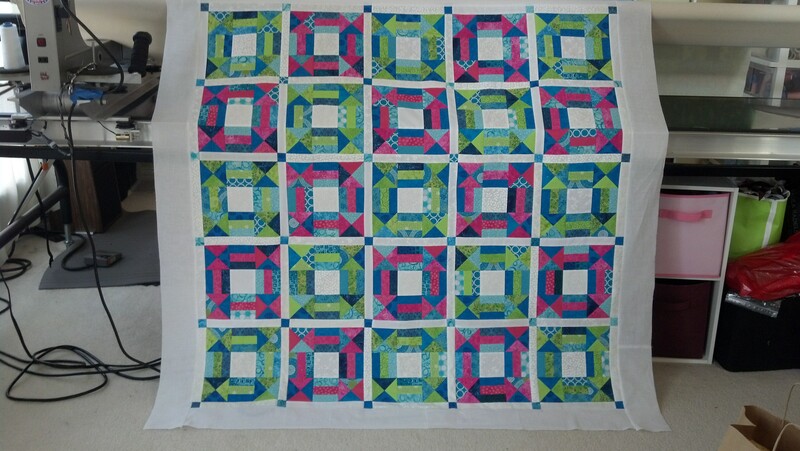 But what I really want you to see from this project is that you can make an amazing quilt from a pattern you don’t like. 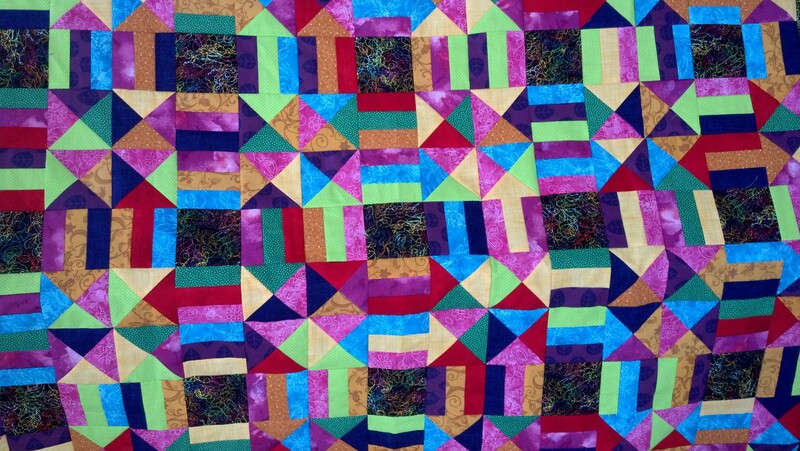 Any block can turn into a variety of different quilts. See beyond the photo on the cover of the pattern, think “what if I do this instead…”, and you’ll be amazed at what can turn out! For May, I purchased all the fabric, no scraps this time. I took down quantities and costs per yard so I can pass it along to you, in case there’s any interest in creating something like this. Next month will look very different from these in color and pattern. Here’s the preliminary sketch! My dark reds appear a bit purple in this photo, but trust me, they’re red. Just the two furthest to the left are not batiks, and you will see how it will look natural to mix them. I’m SO EXCITED! I hope you’re excited too, but you’ll have to wait until May. 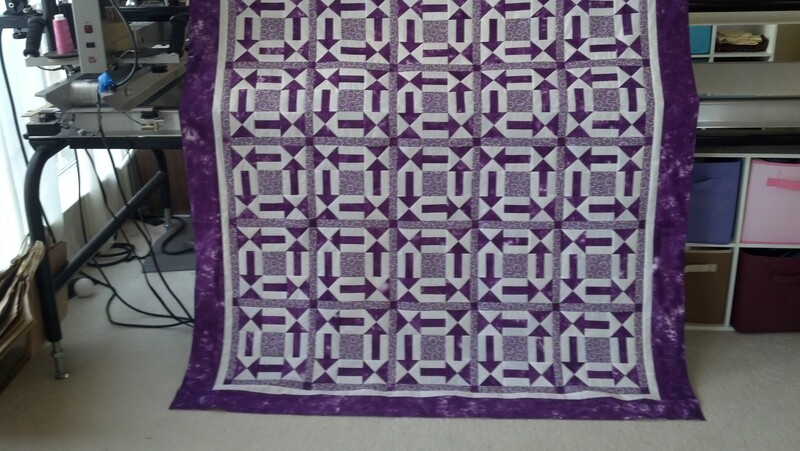 I have a few t shirt quilts to create and a guild raffle quilt (highly customized) to quilt before I can get back to this project.